Rock, Paper, Scissors: Better your odds with the cool and confident RPS Rock Pants. These lightest synthetic pants for multipitch rock climbs keep you protected and moving fast. The RPS Pants were crafted for unrestricted movement on techy routes. 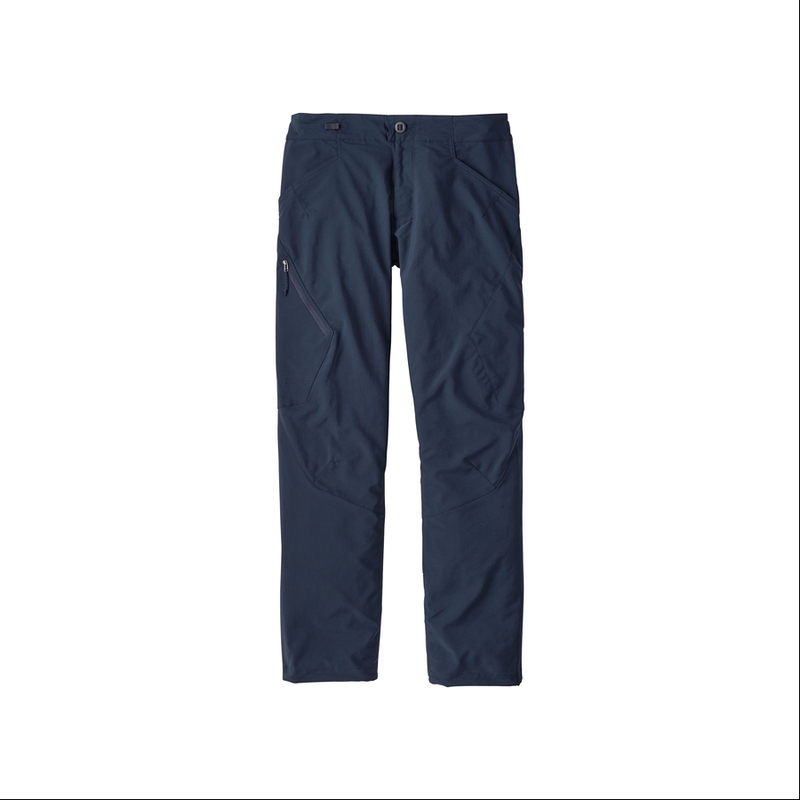 Made from a nylon/polyester stretch-woven blend (now with recycled content), they’re Patagonia's lightest-weight synthetic rock-climbing pants. Minimalist detailing includes a crotch gusset and articulated patterning, a separating zip-fly waist that now adjusts solely via an innovative, sleek, improved OppoSet™ closure (no belt loops), and cuffs that cinch with an ultralow-profile shock cord and ultralow-profile cord lock. 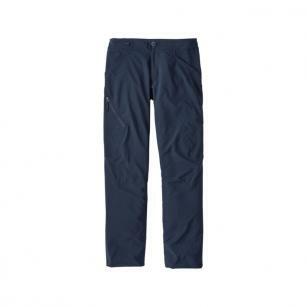 With two drop-in pockets with mesh backing, two rear pockets that double as a reinforced seat and a right-thigh zip pocket that stays clear of leg loops and a DWR (durable water repellent) finish.